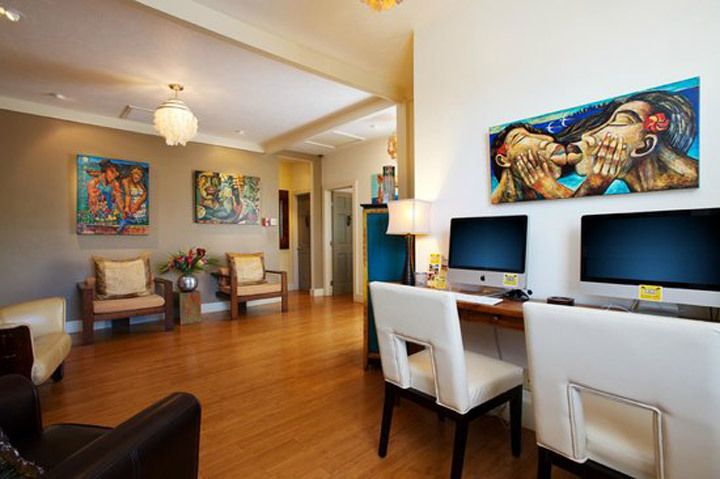 Hip, trendy, and abuzz with great reviews, Maui’s Paia Inn Hotel, located in the heart of Paia, offers those visiting the island with an alternative to the stuffy, out of-date accommodations Hawaii can sometimes be known for. Just steps away from a stunning three-mile stretch of white sand beach, the Paia Inn is a chic boutique hotel nestled on Maui’s north shore. As well as private beach access, all guests enjoy accommodations with air-conditioning, travertine tile bathrooms, flat screen television with cable, IPOD dock with clock radio, refrigerator with in room refreshments, salon quality bathroom amenities and more.